Are you ready to actively pursue growing your workforce instead of just managing it? Learn more about why CEIPAL is the ultimate UltiPro alternative. Still looking for fully-featured UltiPro alternative solutions? 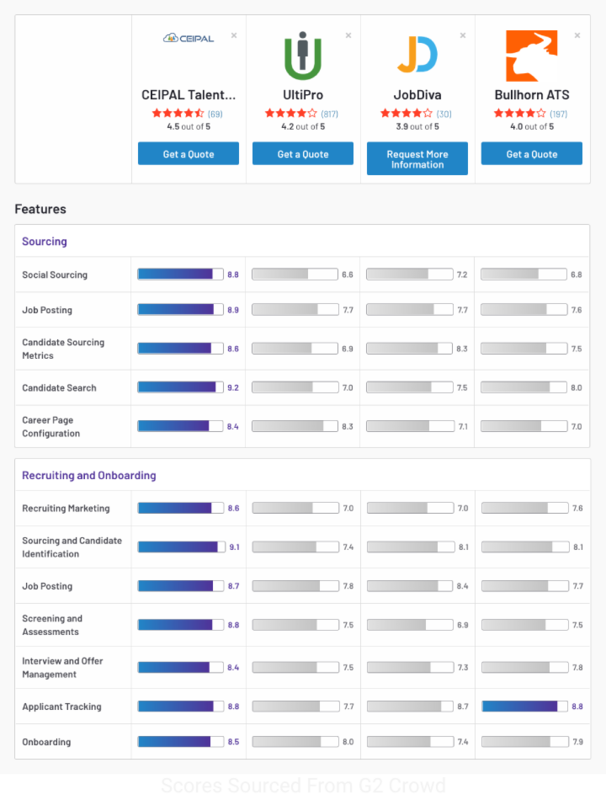 We’ve tried JobDiva, Bullhorn, and tons of other platforms to assist with talent and workforce management only to realize they lacked essential features or cost a small fortune. That’s why we made CEIPAL, to offer a well-rounded, fully capable software platform to any sized business. Why Choose CEIPAL over UltiPro? Maybe you’re ready to actively begin seeking out more talent for your company. Maybe you’re actively seeking out new talent for others. Either way, CEIPAL offers a robust Applicant Tracking System AND core HR functionalities, so you no longer have to worry about only getting half of the tools you need. That’s more than many of our competitors, including UltiPro. Why? Simple; we want you to work with the tools you already know and love. Get real talent management with CEIPAL. We help throughout the entire process of hiring new employees, from identifying vacancies, to posting and distributing, to interviewing, hiring, and onboarding. Once their ready and working, continue to get insights on their job history, placements, and more.